The hotel is literally next to the beach, and breakfast and lunch are served in the beautiful spaces next to the beach with a lovely view. There are plenty of restaurants and markets within just a few minutes walking distance, and although the city center is about 45 min walking, it is a beautiful walk by the beach and it is also very easy to catch the local bus. The hotel staff were all amazing and super kind, we were on our honeymoon and were surprised with a room upgrade and greeted with a bottle of wine and fruit basket. The rooms were clean and confortable, the hotel is definitely recommended! Wonderful location, beach, staff, room, breakfast, and everthing! Location was perfect! Staff very friendly! Great food!! Staying here is highly recommended!! Room was 5 star. Really impressive for price we paid. Was on beach and very relaxing. Stunning 30min walk to central Rethymon (also taxi rank beside hotel too). Breakfast was decent- hot & cold buffet- the cold options were delicious. Swimming Pool was clean and minimalistic. Hotel was spotless. Free sunbeds on beach. Staff were always there if you need them, but not overbearing. Very chilled out setting. Hotel hidden off main road so very peaceful. The hotel was clean, modern and quiet. Blissfully quiet. Waking up after a great nights sleep and having a fantastic breakfast next to the beach was wonderful. And the staff, you would be hard pressed to get better. A great blend of professionalism and friendliness. The service was top level from the moment i walked in. To make things even better, we received an upgrade to a superior studio with view to sea which was magnificent. Beach was top with nice setup and clean sea. Fast wifi. 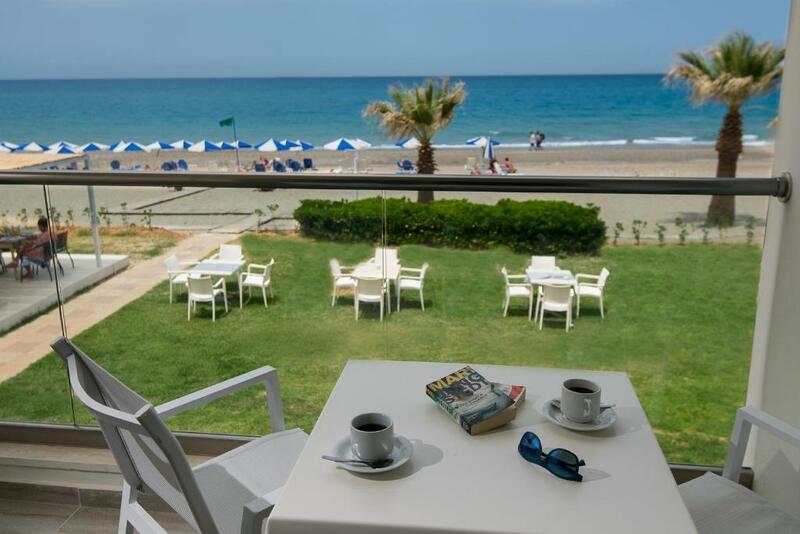 Great rooms, friendly staff, great view and beach, quiet area - almost perfect! Fantastic staff,lovely clean hotel with a good breakfast about 1.5 miles to resort center at the end of the promenade. Mainly German clientele, some nice restaurants nearby and all the way into town. If you want a good hotel in a quiet area but within walking distance to the main town this one could be for you. Wonderful staff (Christina and Michalies in particular who were informative and helpful in every aspect). Good choice for breakfast. Rooms were of a high standard and cleaned perfectly each day. The direct view and closeness to the Beach is amazing. Hotel staff is lovely and helping where they can. The a la carte Food is excellent, The Breakfast Buffet is good (only fruit and vegetable plates would need a lid). 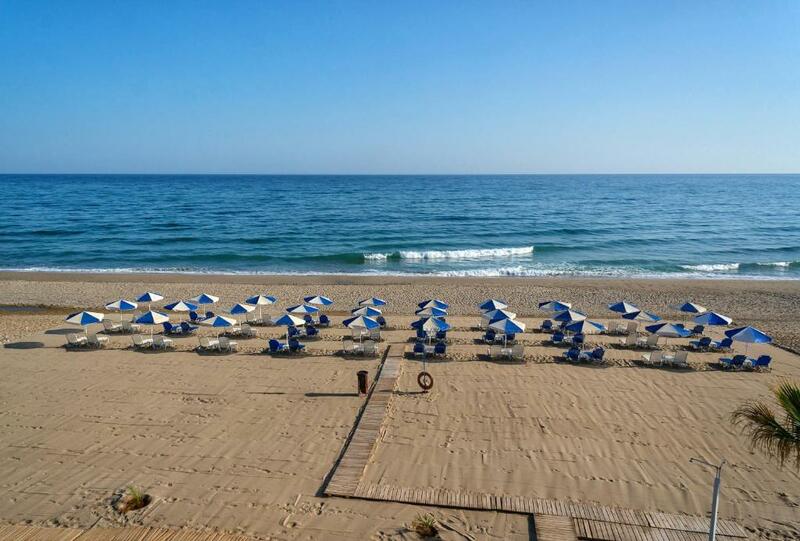 Lock in a great price for Iperion Beach Hotel – rated 9.5 by recent guests! 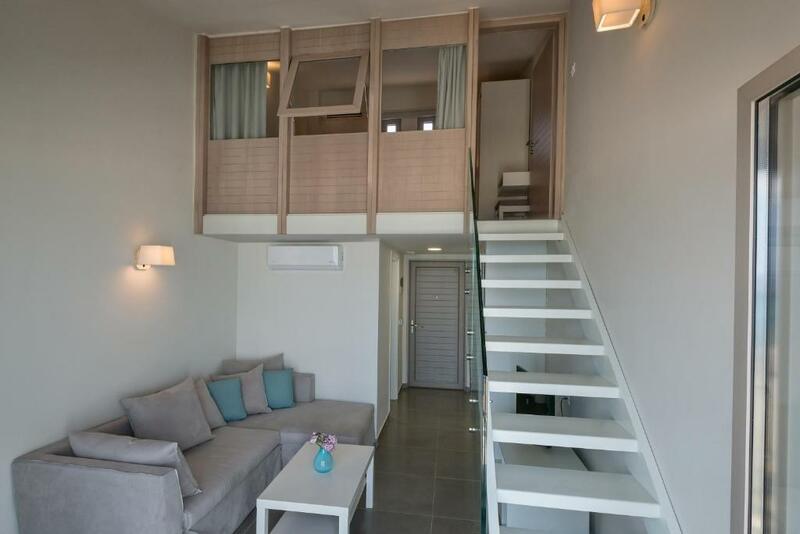 At the Iperion Hotel, each air-conditioned apartment and studio offers a private balcony. They all come with a private bathroom equipped with bath or shower. The studios and maisonettes are also fitted with a kitchenette and a fridge, offering guests the option of self-catering meals. In alternative, a breakfast buffet and light Cretan lunches are served daily. The beach bar is open from noon to midnight. 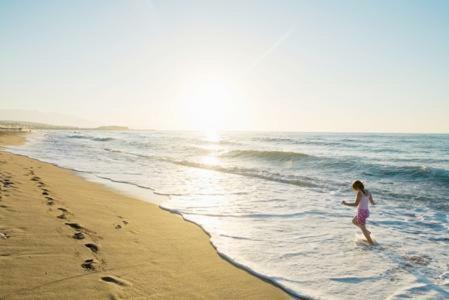 Guests can unwind on the beach, play volleyball and enjoy a variety of water sports activities. The hotel is 25 minutes' walk from the Old Town. Rethymno is 47 mi from Heraklion Airport and 43 mi from Chania Airport. Frequent bus services linking the 3 towns are also available. 뀐 Located in the top-rated area in Rethymno, this property has an excellent location score of 9.6! When would you like to stay at Iperion Beach Hotel? Featuring a private balcony, this studio is decorated with cool tiled floors and wooden furniture. 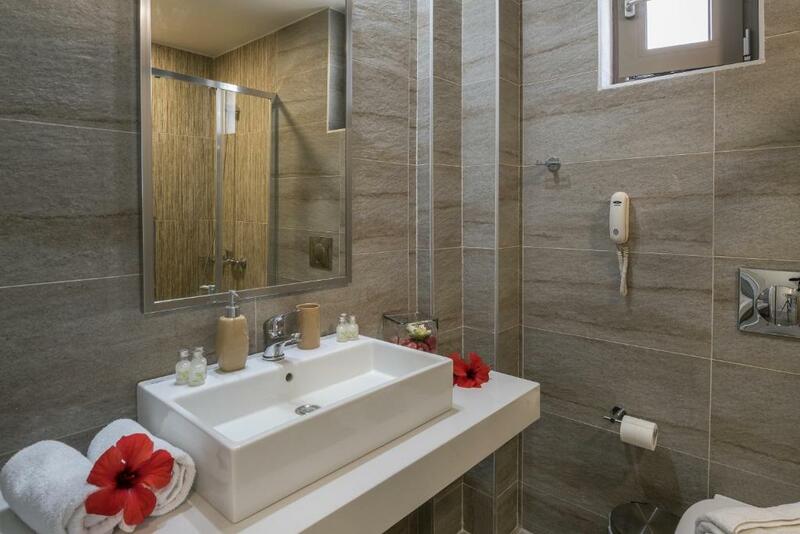 It offers a kitchenette with a fridge, and has a private bathroom with a shower. Featuring a large private balcony with views over the Mediterranean Sea, this 2-story apartment is decorated with cool tiled floors and wooden furniture. The lower floor offers an open-plan living area with kitchenette, fridge, TV and a bathroom. The upper level has a has a double room. 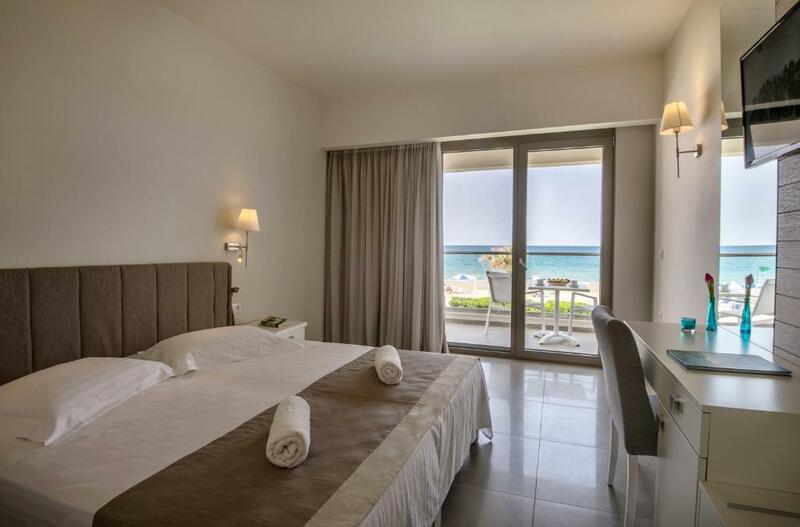 Recently renovated, air-conditioned room overlooking the Cretan Sea. House Rules Iperion Beach Hotel takes special requests – add in the next step! Iperion Beach Hotel accepts these cards and reserves the right to temporarily hold an amount prior to arrival. Only the breakfast has room for improvement - toaster doesnt´work properly, only one juicer (and wearing a raincoat is highly suggested ;-)) and the coffee is rather poor. "Real coffee" is available but has to be paid extra. The air conditioner is aimed directly at the bed, the adjustment did not help. We did not turn it on at night, opened the balcony. But in the summer it can be a problem. Very-very amazing place - small hotel, cozy and quiet, near the beach. Taxi parking is 20 ms and its 5 min to Rethymno town. Very helpfull staff. Food in the hotel resraurant is magical. I had a beautiful room overlooking the sea. Every member of staff was friendly and and accommodating. Cleaning service are very poor, food is not very good. The beach was nice and quiet, the hotel has direct access to the beach. The bed was a little too soft in our opinion, and it would be an improvement if bathroom amenities (shampoo, shower gel, etc) were provided daily instead of just at the day of check in. Other than that, everything was wonderful! The beach is great for sunning and the view, but it is not good for swimming. Yellow or red flags were flying the several days we were there and I understand a number of people died due to the currents there last year. We were greeted by Michael at the front desk when we arrived and he was an amazing representative for the hotel. He was always very willing to answer questions and give suggestions. You would have thought he was the owner. The breakfast buffet fantastic and all the staff was extremely helpful and curtious! Our dinner meal was was also delicious and great value for our money. I would eat all my meals there as the outdoor seating by the beach with that uninterrupted view of the deep blue sea made for a perfect setting. 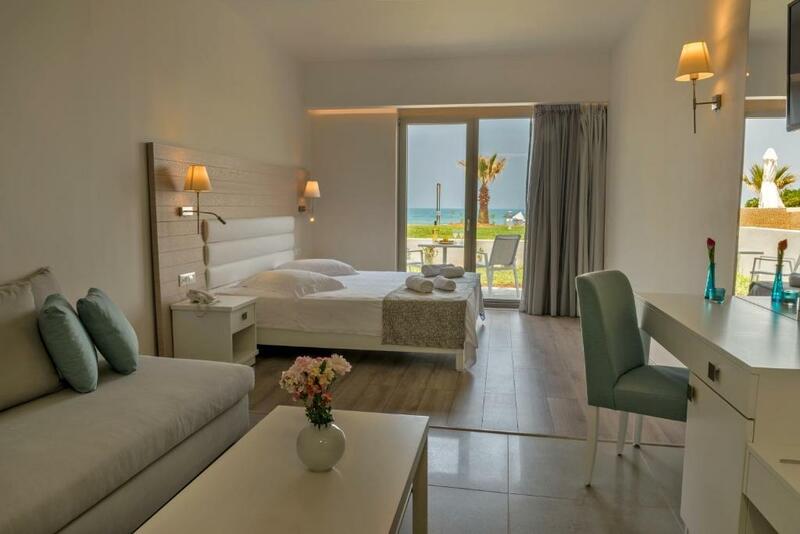 The Iperion Beach Hotel is memorable due not only to the beautifully appointed rooms and great food but the staff is always the key factor in its success. Pool was a little small. Staff were excellent. The hotel was close to everything and yet far enough to be away from the crowd.